Are You Ready for Your Next Safety Complaint? Safety-conscious mine operators train their employees to report potential hazards. Yet, such reports can sometimes lead to one of the most contentious and sensitive issues mine operators have to handle: a miner’s claim that the operator retaliated against him for complaining about safety concerns. MSHA is enforcing such whistleblower claims now more than ever. There are, however, some common-sense steps that diligent operators can take to lower the chances that a safety complaint becomes a discrimination case. Under Section 105(c) of the Mine Act, it is illegal to “discharge or in any manner discriminate against” a miner because the miner complains “of an alleged danger or safety or health violation.” A disciplined miner’s claim that he was discriminated or retaliated against for being a whistleblower can become an extremely complicated matter. Such claims often involve conflicting he-said-she-said allegations, as well as a terminated worker’s request for reinstatement, raising the possibility that the government will override the mine operator’s decision to fire the miner, regardless of whether there was good cause to do so. Not only can the miner ultimately obtain a federal order protecting his job and reinstating him after being fired, but even while his case is still being considered, he can receive temporary reinstatement simply by showing that his claim was “not frivolously brought,” an extremely low and easy hurdle to clear. 30 U.S.C. § 815(c)(2). The risk of MSHA pursuing such cases is on the rise. Last year, Assistant Secretary of Labor Joe Main testified that MSHA is “using all our available tools to protect miners from discrimination.” Toward the end of 2012, MSHA reported that in the most recent two-year period, it had more than tripled the number of requests for reinstatement it submitted on behalf of complaining miners and nearly doubled the number of safety discrimination complaints it filed against operators. If an operator fails to handle a safety complaint well, it risks facing a discrimination charge. By planning ahead to ensure proper responses to internal safety complaints, operators can both ensure that they maintain a direct line of communication to the safety concerns of their frontline employees and also help reduce the chances that a discrimination complaint develops. At the outset, every safety complaint should be considered a serious one, which could relate to a serious hazard and which could also lead to significant legal liability if mishandled. Upon receiving a complaint, of course, the first and most important response is to ensure that everyone who might be affected by the alleged hazard is safe from harm. This should remain a priority until the complaint is fully investigated and resolved, meaning that miners should not work in the affected area or with the affected equipment until the investigation is complete and all hazard concerns are dispelled or resolved. Once everyone is made safe, the operator should promptly launch a full investigation. Who participates in the hazard investigation can affect what direction the case takes down the road. Since discrimination complaints often involve a supervisor or other manager disciplining or discharging a miner, it is helpful to involve a second management employee at the earliest moment to assist in the investigation and witness it. Likewise, inviting the complaining employee to participate demonstrates to the employee that the operator is fully and seriously addressing his concern while also lending more credibility to the investigation. If the alleged hazards are serious or there are already suspicions that a discrimination complaint might be coming, it is also wise to engage your lawyer at this stage so that the company’s response fully protects its interests. The starting point for the investigation is the employee’s specific safety concerns. The operator should interview the miner to fully understand the concerns and then take whatever steps, and engage whatever personnel, are necessary to evaluate the alleged hazard. A concern about mobile equipment safety may require engaging the mechanic, an electrician may be called in to evaluate electrical questions, or an experienced foreman might participate in evaluating ground conditions. Of course, any hazards identified should be fully and promptly corrected. Along the way, the operator should document the safety concerns and the actions it takes to address them. Documentation of everything you say and do is absolutely critical. Act as though MSHA believes that if it’s not documented, it didn’t happen. After abating any hazards found or determining that no hazard existed, the operator should fully explain its conclusions and abatement, particularly to the miner who first raised the hazard concerns, as well as to any other miners who work in the affected area or with the impacted equipment. It is critical that the miners understand that their safety and concerns were taken seriously. Toward that end, the operator should invite and answer any questions they have. In the best case scenario, everyone will be satisfied, not only with the safety of their work conditions but also with their employer’s serious response to their concerns. If so, the operator’s diligent, thorough, and transparent response will have enhanced its employee relations and helped avoid more serious discrimination complaint problems. In some cases, though, employees may disagree with the investigation conclusions or response and even refuse to work as a result. An operator may be justified in disciplining such employees, but the key is to ensure that any discipline carefully follows pre-existing, written safety and discipline programs that were communicated to employees in advance. Discriminating against a miner literally means treating him differently. As a result, establishing and communicating such policies helps ensure that you are treating all miners in similar circumstances similarly and fairly. Without any policy in place or consistent policy enforcement, miners have leeway to argue that their discipline was really just retaliation for safety complaints. No operator is immune from discrimination claims, and not every such claim is the result of genuine safety concerns. But, safety-conscious operators can minimize their risk by properly handling safety complaints and discipline. 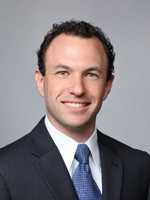 Meyerstein is of counsel with Patton Boggs LLP. He can be reached at 202-457-6623 or by email at ameyerstein@pattonboggs.com. NextIs MSHA About to Defy Science, Logic & Law with a New Coal Dust Rule? Do Your Miners Have the Munchies?